Hello stamping friend! I wanted to give a quick reminder that if you’re looking to give or receive some Stampin’ Up! products for Christmas, your time is running out! 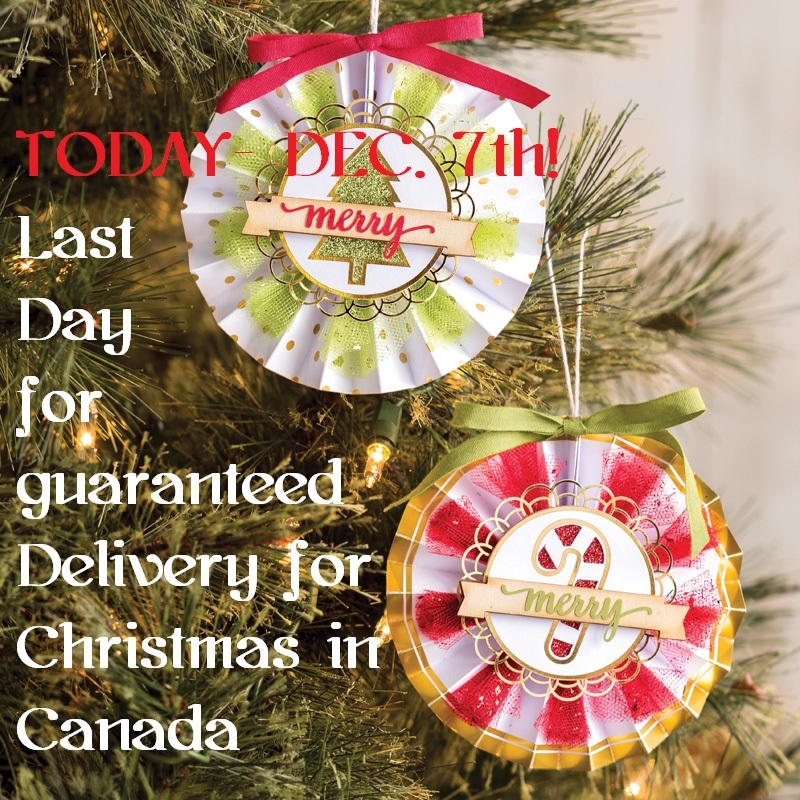 Here in Canada, today, December 7th is the last day for guaranteed shipping. You need to get your orders in by 10:00 pm PST tonight, to receive them in time for holiday giving with regular shipping. If you’re late in ordering, Expedited Shipping is available at an additional cost. If you’re in the U.S., the deadline is next Thursday, December 14th. Place your orders right away in my online store! It’s open 24/7 – no need to call, email or wait for me to submit it for you. GIFT CERTIFICATES AVAILABLE – NO DEADLINE! Note – Gift Certificates purchased through me are redeemable only through me, and product must be shipped within Canada, as per Stampin’ Up! guidelines. Previous Previous post: Fun Sketch Challenge This Week! Next Next post: PAPER PUMPKIN KIT FUN!